There are many different opportunities to enhance your company's exposure with different listing options. All AGC of Ohio members will have a basic listing throughout the Guide. However, if any AGC of Ohio member would like to be added to additional categories, provide additional information, or purchase premium advertising, please email agcohio-advertise@svmmedia.com. 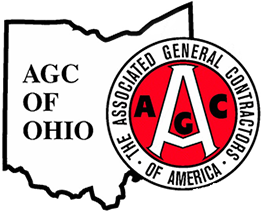 Members of AGC of Ohio - update your information for the online guide.